Welcome to the Caspari Center Library! “Equipping His people for works of service, so that the body of Messiah may be built up” (Ephesians 4:12) has always been our biblical inspiration and goal. As most of our supporters know, our heart is education in the form of studies, courses and the publication of books. And where one has educationand studies, it is our wholehearted believe that one should also have a library. The Caspari Center library is probably the most visible part of our ministry. Most of the other work at the Center is accomplished at the desks of staff members here in Jerusalem or even in different locations around the world. But the Caspari Center Library is the gem nestled at the core of our Center; it’s the part of the ministry that visitors can see, touch and check out, if they so please. 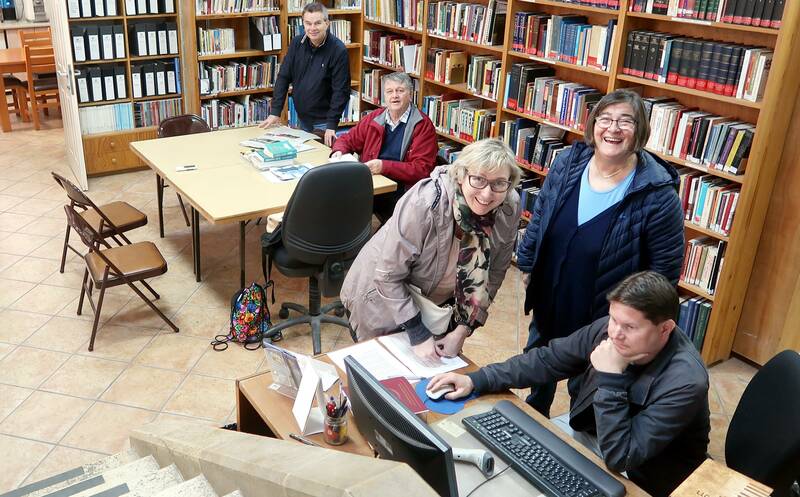 Our library serves both local Messianic believers and the international Christian community. A typical library user might be a local believer who comes to our library to use our bible commentaries, or a foreign exchange student looking for more information about the Messianic movement. Over the years, we have hosted foreign pastors on sabbatical working on research projects, Bible translators using our Bible commentaries and dictionaries, foreign students studying Hebrew in need of a quiet place to study, and various pastors preparing sermons, to name just a few. Some come here only once or twice on a brief visit to Jerusalem. Some visit us year after year, time and again. What is common to all of them, is that they are in need of a quiet place to read and study, and access to material that they aren’t able to find elsewhere. I have been working as a librarian at the Caspari Center for about five years now. When asked about the best part of my job, I answer without hesitation: the joy of helping people find what they need. I enjoy the challenge of hunting down rare books on particularly singular topics. The greater the challenge, and the rarer the book, the more I enjoy the hunt. When I don’t have a lot of information to go on, I need rely on my intuition, which is tremendously satisfying. Finding answers to questions, chasing down missing books and authors and being able to help and serve… all these make my work meaningful. And the books, of course! Being surrounded by thousands of books, each with its own story to tell and useful information to share. (I’m sorry I can’t spend all my work time reading the books we have in the library!) The Caspari Center library might not be large as measured by the number of books compared to some libraries, but when judged according to the content and the quality of books, we are doing pretty well. We don’t have ALL the books ever written about the Messianic movement or the Jewish roots. (No one does.) But we do have all the important ones, and many, many more. 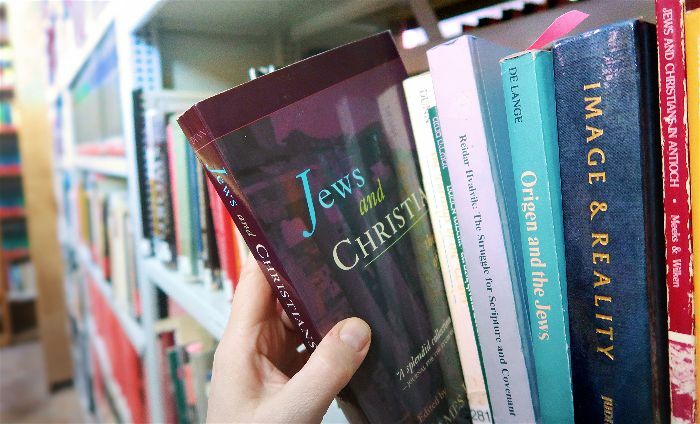 Whether you are staying in Jerusalem for a long time or for a flying visit, you are more than welcome to come and visit our library.